M. ChrisTopher Williams first came to BMHS in 1979 after having served for nearly three years as a volunteer teacher of English and African History in the Sudan. For the next nine years he was teacher of World History to sophomores (M.A. in World History, Georgetown University) and Anthropology as a senior elective (M.A. in Applied Anthropology, American University). In 1994, the newly co-ed BMHS instituted a new Global Studies course for all senior students. Over the years of his educational service, Mr. Williams has been awarded opportunities to work and study abroad, the better to incorporate his foreign travels and international studies into this new course. He travelled as a volunteer for Operation Crossroads Africa to Kenya (86) and Botswana (88) and for International Development Exchange to Ghana (94). Moreover, he was awarded fellowships and grants to travel with the Japan Institute for Social and Economic Affairs to Japan (84), with Saudi Aramco to Saudi Arabia (06) and with Global Exploration for Educators Organization to Costa Rica (11) with the assistance of the BMHS Capital Partners program. 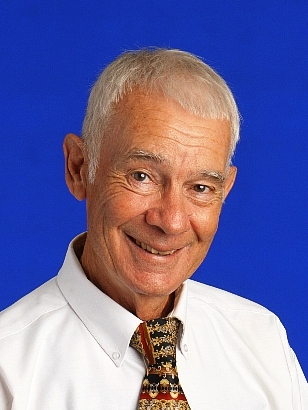 The Administration of BMHS graciously granted Mr. Williams a leave-of-absence sabbatical during which he served as a Volunteer for the U.S. Peace Corps as a teacher in Guyana, South America (07-09). During his tenure at BMHS, Mr. Williams has served as the Chairman of the Social Studies Department, was selected by Presidents Heather Gossart (95) and Marco Clark (12) to sit on the committees reviewing candidates for the new Principal, was greatly honored with the Caritas Award for Distinguished Faculty Service (04), a BMHS diploma as honorary member of the Class of 2010, and an Honorary Ph.D. from Mount St. Mary’s University (01). Mr. Williams is eminently grateful that BMHS has given him the long term opportunity to align his passion for travel with his vocation as an educator in initiating and sustaining the course of Global Studies. In an increasingly globally interdependent world and more greatly diversified American population, BMHS has made the commitment to inform and empower its students with an informed appreciation for global diversity, affirming that what we share in common is far more greatly important than the differences among us.